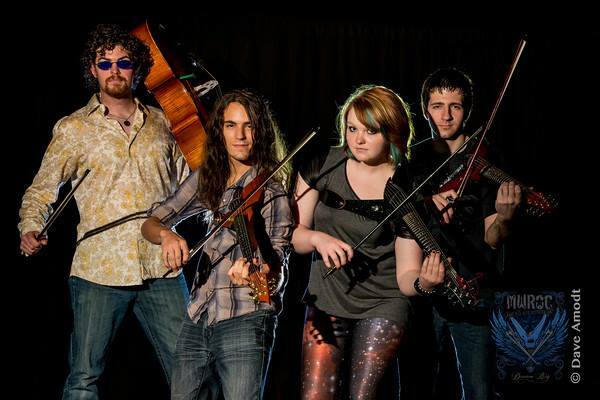 The Harbingers of Awesomeness string quartet was formed at MWROC 2013 by Adam Rafferty, Elizabeth Crain, Michael Lucarelli, and Nick Schafer. After realizing they all lived in Nashville, they decided to put together an alternative-style string quartet. They are now preparing their own arrangements of classic rock and other styles, and among their many goals – musical and otherwise – is planning a tour to educate, enlighten and inspire other young musicians. 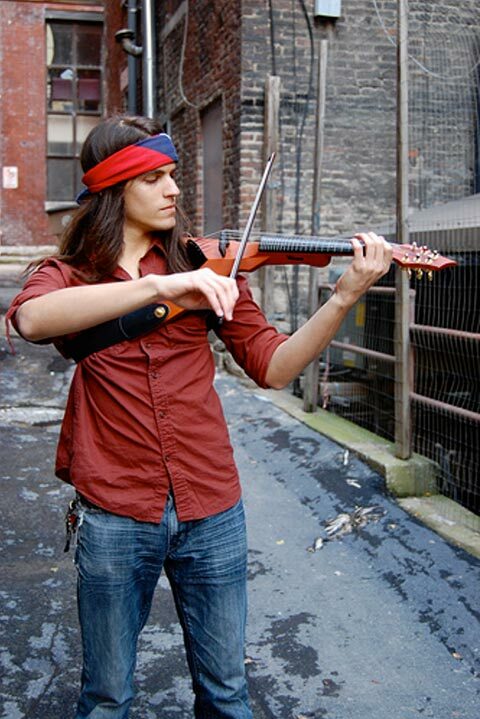 Nick Schafer has been playing violin for 10 years, has been a Viper player for 5 years, and is a senior Commercial Music major at Belmont University in Nashville. 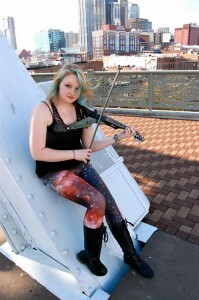 Elizabeth Crain, better known as Zee, is a violinist, a Viper player, and a singer/songwriter. She has been attending MWROC since its inception in 2010. “MWROC helped me realize that my goals of becoming a musician were not so far fetched. With the unique and innovative instruments that Mark makes and the encouraging support of the family at the Mark Wood Rock Orchestra Camp, I realized that everyone who told me I was crazy for wanting to be a rock star didn’t matter. As long as I was at MWROC, I felt invincible. “MWROC is an intense week of music making with some of the best instructors in the string world… Every time, I learn something new. “I went to MWROC expecting to grow musically and to further understand the world of string-based rock, and I did. But I also found so much more. I found faculty members who genuinely believe in the campers and help them achieve growth. I found people, young and old and everywhere in between, who were excited to learn and willing to help others reach their goals. I found an environment where creativity and self-expression flourish. But most of all, I found a family. The people that I have met at MWROC – campers, counselors, teachers, and faculty members – are some of the best people I know. Michael Lucarelli was introduced to MWROC during the summer of his freshman year of college at Belmont University. Though he was fortunate to be studying alternative styles of music such as jazz and fiddle music, his studies at school had not defined who he was as a musician. 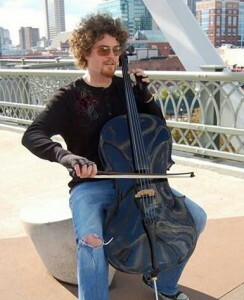 Adam Rafferty studied cello at University of Kentucky as an undergraduate and University of Louisville for a year as a graduate student. He has performed and recorded with Woodstock performer Arlo Guthrie, as well as other great artists. Originally from KY, Adam now resides in Nashville where he is a recording artist, professional musician, teacher, and member of the Harbingers of Awesomeness string quartet. Adam first attended MWROC in 2011 as someone brand-new to the Mark Wood Community. He had never been part of an EYS [Electrify Your Strings] or seen Mark Wood perform. 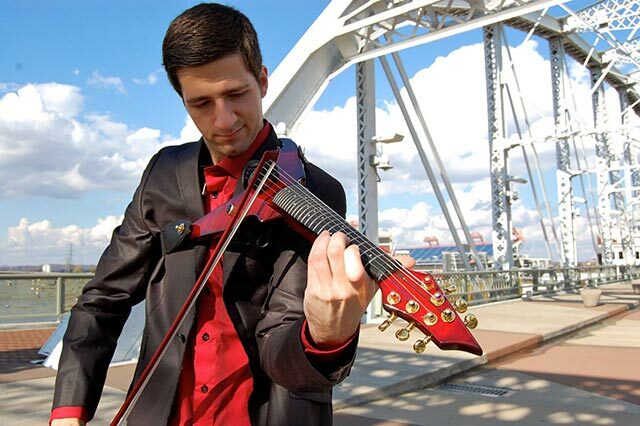 During that week, he met other likeminded string players, and learned that MWROC is a place for string players to realize their full musical potential, whether their interests lie in Bluegrass, Jazz, Rock and Roll, or Heavy Metal. The friendships made at MWROC are real and Adam now keeps in touch with string-player friends spanning the globe. Connect with the Harbingers on Facebook and support them on their journey!